Everyone wants to look good for their wedding, but what about looking amazing for your marriage? 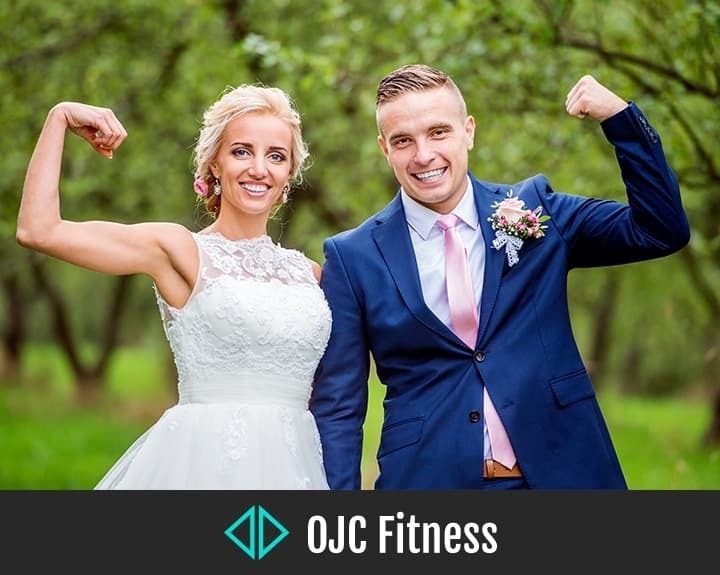 Looking good on their wedding day is what every couple desires but we recently connected with personal trainer Ollie Chambers from OJC Fitness who helped us to understand that wedding physique is more than a short-term goal. He was very kind to share his 5 top tips to getting in shape for the big day and beyond. Brides and grooms are willing to invest hundreds if not thousands of pounds on their outfits for the big day but most of these extravagant clothes are not worn again. They become a memory rather than practical clothes to enjoy for years to come. The dress and suits get a lot of attention on the big day, everyone wants to see how amazing the couple look but as incredible as the clothes might be the most important and truly beautiful part of the wedding is the bride and groom themselves. 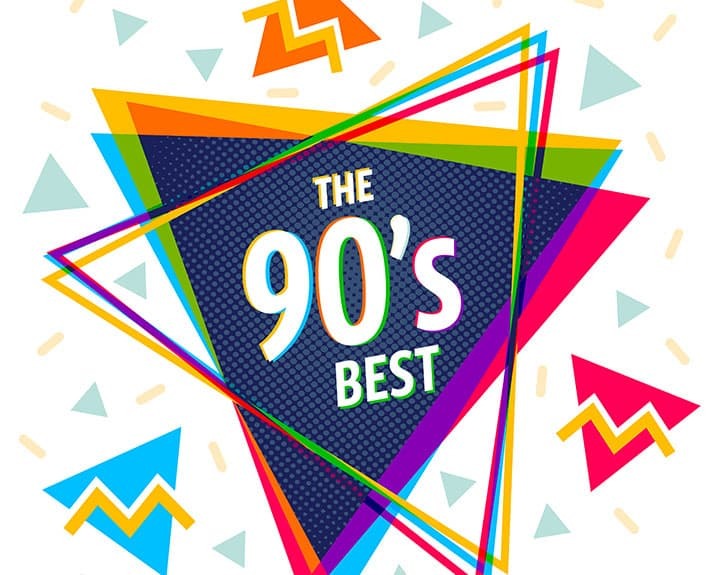 Looking good isn’t just something we want to keep for special occasions now which is why in this day and age, health and fitness is becoming more and more important and in demand. People want to look and feel good no matter what day or where they are. How much more satisfying would it be to not only have an incredible dress or suit but the body you have dreamed of? And not just for your wedding but for the marriage. The body that you want for your partner but most importantly for yourself. All this high talk about being in great shape always sounds good in concept but is hard to put into action. That is why I have put together the 5 main areas you need to develop in to make sure you achieve the physique you want for your new life with your other half. It is very important to set specific goals for yourself. Too many people see little or no results but make general statements such as ‘I want to lose some weight’. This is a good start but there is no end goal in sight. A better way of putting this would be. ‘I want to lose 1 stone of fat within the next 2 months.’ Specific, measurable goals with a timeframe are key to success. You know where you want to go but you don’t know how to get there. This is where the plan comes into place. Like when driving, you need a satnav to show you the way, you need to do the same with your health. Set milestones on your journey to give you motivation as you strive towards your ultimate goal. A lot of people tighten up at the idea of actually having to do work for their dreams these days. To be honest, I think everyone feels a little bit anxious when they think about their workouts, sometimes even I do. But that is the whole reason you should do it. Face your fears and crush them. Workouts are like a good rollercoaster. You should be a little scared going up so you can enjoy the thrill of the ride down. This is how many of my clients who were scared, become quickly addicted. It’s the best ride in town and it’s fundamentally your body! The massively misunderstood 8th wonder of the world. If you have your goals, made your plan, you’re making it to the gym but you’re not seeing progress then this is most likely your next obstacle. I would like to stress to you we are talking about NUTRITION NOT DIETS. Nutrition focusses on tracking the raw ingredients. This involves some science talk about macro nutrition but don’t be worried if your not the scientifically minded. As a trainer, I have taught people who have had no previous concept of nutrition and if they have mastered it so can you. All there is to know in a single 30 min session. Once you take the time to understand nutrition your perspective of food will completely change for the better. Understanding nutrition means you can eat all the foods you LIKE! Not what you ALLOWED by your diet. I’ve had countless clients put pizza into their own balanced nutrition plans, I confess I have done this too, and it works. Now if nutrition can’t win you over with Pizza I don’t know what will. Now from the most misunderstood to the most forgotten… When you are in the gym you are effectively breaking the body down with exercise, nutrition gives you the parts to rebuild yourself. Rest and sleep will give you the time you need to rebuild. Everyone is different and age is a factor too but you always want to aim for at least 8 hours of sleep per 24 hours. Another part of rest to consider is what we call active rest. Active rest is some exercise on your days outside of your program which is light but considerable. Good examples are a friendly football game, a weekend walk for a few hours. A swim at a local pool or a cycle. The best thing to do is find an active hobby that interests you so it’s your treat you look forward to and it doesn’t feel like a chore. This is a summary of all the things I install into my clients as they work with me to achieve their goals and this is also the reason for their success. The process is not immediate, but it is that long-term effort that brings forward the most rewarding, life-changing results. Very much like a marriage. Anyone can achieve their dreams, but only those who work for them ever obtain them. We are in the business of changing people’s lives forever by showing them how to transform themselves in their own image. Using our tools and coaching you can do it too. Not just for the wedding, but for your lifetime together. 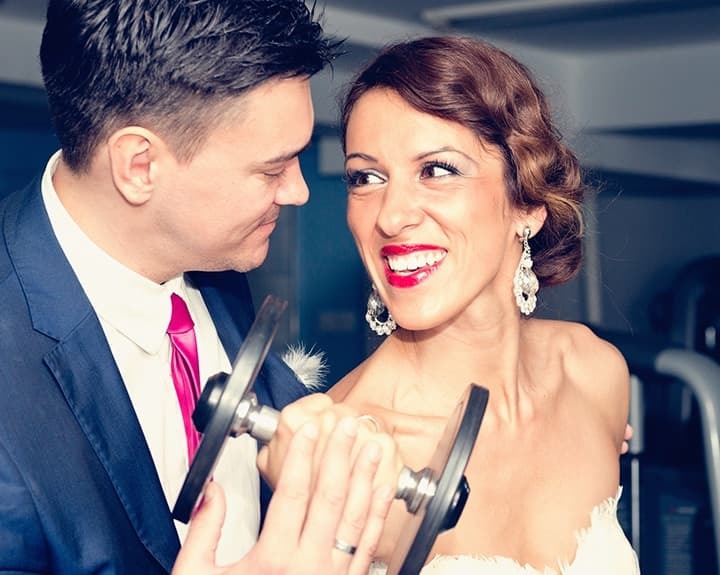 If you want to become our next success story contact OJC Fitness, visit www.ojcfitness.com or email us at ojcfitness@hotmail.com referencing the code WED150 to save £150 on our wedding physique programme. We would like to thank Ollie for his incredible insights! 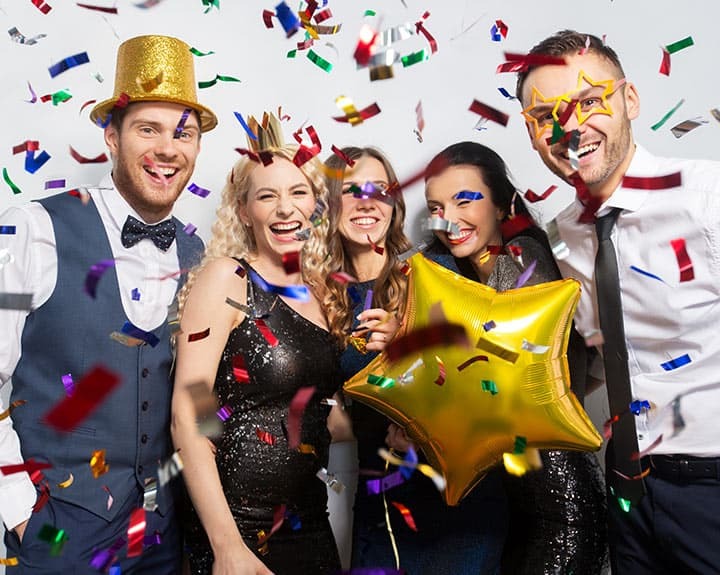 The great thing about looking and feeling good is you can’t wait to get on the dance floor to strut your stuff but to do this you need to have a decent DJ playing decent tunes. For a professional and talented DJ at your wedding then contact us today for a free quote.